I have a production issue. For one of the clients, users are leveraging OneDrive to Sync all of the Document libraries.All of these libraries have content types and based on each content type, there are required metadata columns which users have to populate when they leverage Upload button to upload the files in a desired document library. 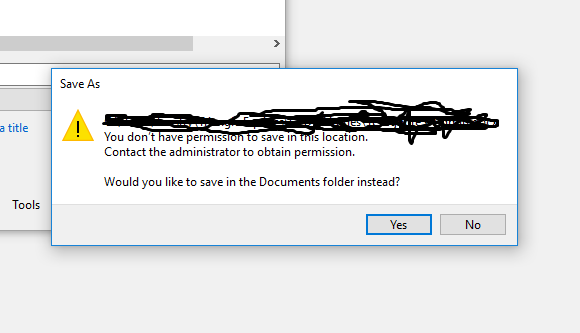 But right now they are leveraging the OneDrive synced folders and they drag and drop files into these synced folders which eventually syncs in SharePoint online library, now they are no longer be able to save using these synced folders, when they try to perform save, they see below error. This is happening for all users across all the libraries in the tenant. This is not really a permission error as everyone has appropriate permissions. I spoke to Microsoft and they are saying that since the libraries have required metadata columns and as users drag and drop files in these synced folders, the metadata went unpopulated and thus its no longer allowing to perform save. They suggested to make the columns optional and that should work but that's not the solution I am looking for. Has anyone ever came across this scenario before and if so, please share the workaround you took for this, will be helpful for me to come to a conclusion. Also there are no issues in terms of uploading files in SharePoint libraries using the Upload form and dragging and dropping files into SPOnline library using front end UI. Browse other questions tagged sharepoint-online document-library office-365 onedrive-for-business or ask your own question. Unable to disable check in check out in SharePoint online?